The sky is the limit for medical assisting school grads. Your education can open doors to a wide array of future careers. You'll likely to join the workforce as an entry-level CMA soon after graduating. But the skills and experience you gain on the job, along with widening your medical knowledge base are all tools you’ll need to advance your career. There are several paths you can choose from depending on your interests and expertise. Medical assistants with a nose for numbers and organization may choose to go the business route for career advancement. An MA’s experience can make them extremely valuable as an office manager or program manager at a hospital or physicians office. Medically minded business managers are also extremely valuable to insurance companies and healthcare agencies. Some medical assistants really enjoy working in a clinical setting, but may desire more of a leadership and/or management role. This could lead to career advancement into a job as a clinical supervisor. A clinical supervisor supports medical staff in their personal and professional development and in reflecting on their practice. Top-notch clinical supervisors provide a safe and confidential environment for staff to reflect on and discuss their work and their personal and professional responses to their work. Other medical assistants may come to a point in their career when they are ready to mentor and train the next generation of MAs. Who better to train new medical assistants than someone who has actually done the job? Most medical assisting programs require their instructors to have a minimum of 3 years medical assisting experience. It’s also a plus if you’re certified to teach CPR. Most local Red Cross chapters offer courses to become a CPR instructor. 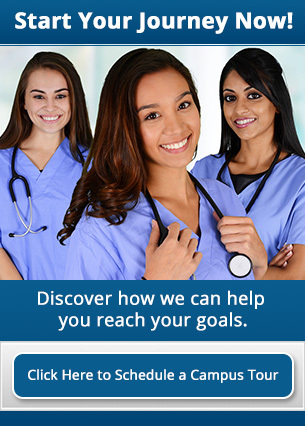 Of course, many MAs decide to expand their clinical skills and transition to a nursing career. This is often a successful transition. While an MA will need to train at a nursing school, experienced medical assistants often find that coursework and clinicals are easier because of their background. This can make it less stressful to get through a program while working. Although both medical assistants and registered nurses share some similarities in job duties and responsibilities, there are some major differences between the two careers. Medical assistants work under the direct supervision of registered nurses or physicians and assist with a variety of tests and procedures. Registered nurses normally focus exclusively on patient care with a minimum of administrative duties. Healthcare is one of the fastest growing industries in the country today. If you're interested in entering the medical field, becoming a medical assistant is one of the quickest and easiest paths. To find out more about becoming a certified MA, contact Athena Career Academy today.